Mahathir, on his first foreign trip since a surprise election victory last month, said countries like� Malaysia� needed a helping hand in international trade. 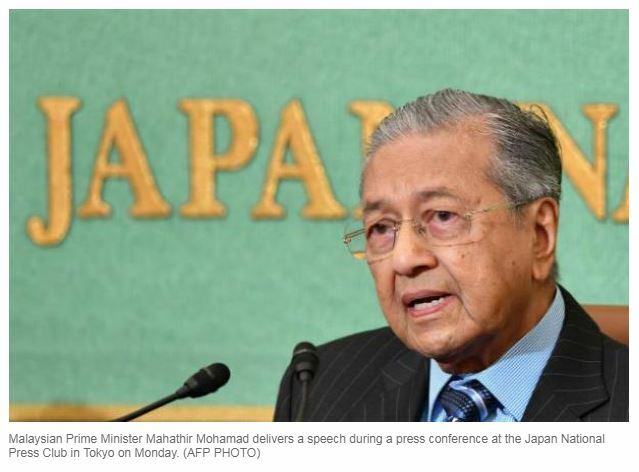 Alliance Bank� Malaysia� chief economist Manokaran Mottain said that Mahathir, who had a first stint as premier from 1981-2003, was by nature a protectionist. He also noted there had been “widespread domestic opposition” in� Malaysia� to the original TPP deal. But Woo Wing Thye, an economist from the Jeffrey Cheah Institute on Southeast Asia at� Malaysia’s Sunway University, said Mahathir’s move was simply part of a “comprehensive review” of all policies of the former government.